Meet the FairyTail Pet Care Team! — FairyTail Pet Care - Wedding Day Pet Care! A lot of you probably already know the co-founders of FairyTail Pet Care, Kelly & Ilana. In the past 3.5 years since we've started our business, we have grown quite a bit! What started out as just an idea, became a successful business. This is why we are extremely excited to introduce everyone to our Pet Care Managers, Jennifer & Taylor, that allow us to provide the absolute best care possible to all of our clients & their babies. Without them, it would simply not be possible to take on all that we do. A lot of you may recognize Jennifer & Taylor, but you may not know who they are or exactly what they do. So let us take a moment to introduce you to these very special ladies that play an integral role in the success of FairyTails. You probably know Jennifer if you use our Pet Sitting services. Jennifer manages & operates this side of our business. There is a lot that goes into quality in-home pet care & she handles it all thoroughly with attentiveness, warmth & always puts the care of our client's babies first & foremost. Jennifer, of course, has a few babes of her own. She has an incredibly sweet yellow lab named Trooper, a lovable chocolate lab named Raudi & two amazing cats named Kiki & Little Miss (aka Kitten Cat). She lives in Seminole Heights with her husband & when she is not pet sitting you can find her traveling or drinking coffee at one of our many amazing local shops. If you use our Pet Sitting services, you very likely know Taylor, as well. She is our head pet sitter in the Tampa area and also manages the pet sitting operations a couple days a month. 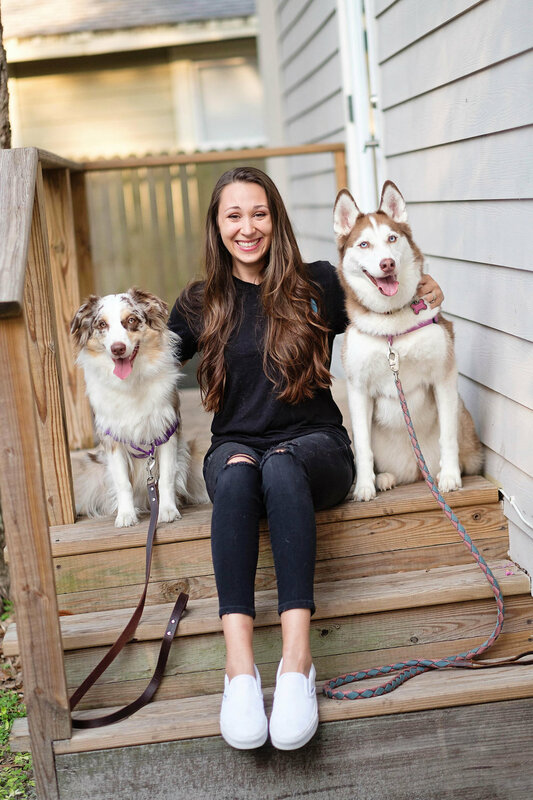 Outside of that, Taylor is our Lead Wedding Coordinator & has been helping to include couple's pets in their wedding day since the start of our company. She understands how important it is to be flexible & attentive on wedding days. 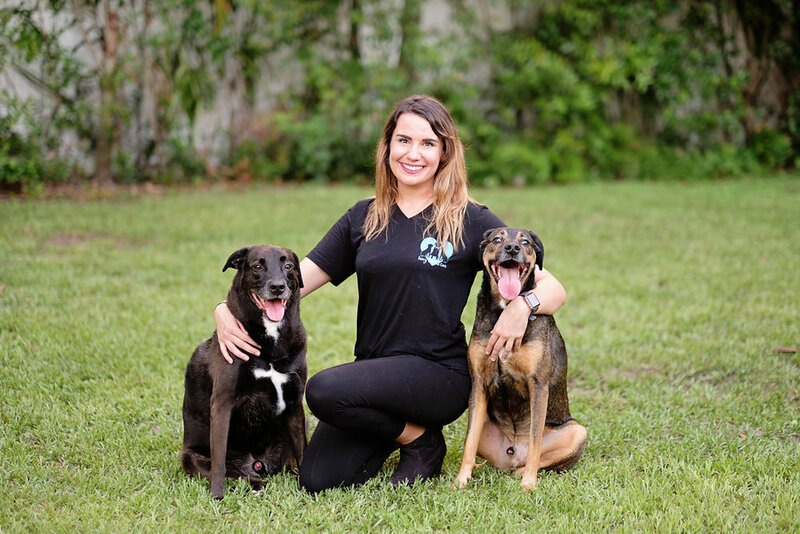 She works diligently to ensure our client's pets are happy & comfortable on the big day so that they can rest easy knowing their babies are in good hands. As you may expect, Taylor also has animals of her own. She has a gorgeous husky named Zeppelin and recently added a sweet Aussie named Rae to the family. She also has two adorable kitties named Meelo & Tobi. 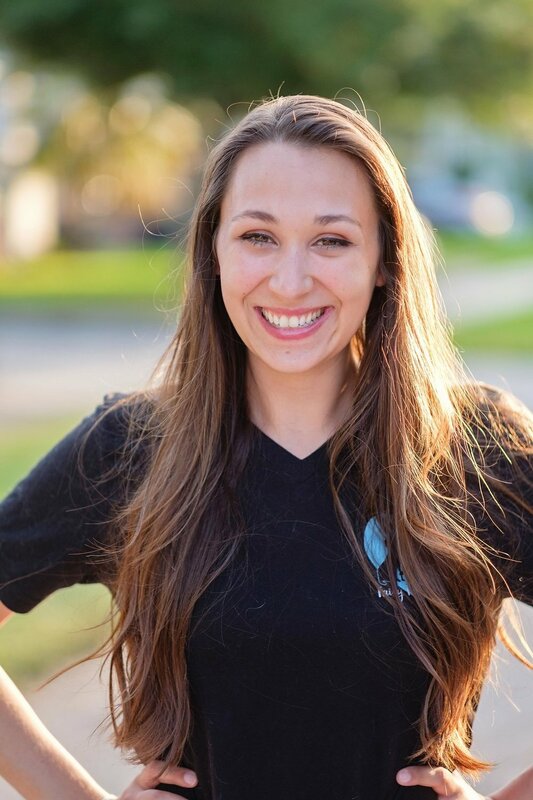 Taylor also lives in Seminole Heights with her husband & when she is not pet sitting you can find her at the beach, exploring downtown or relaxing at home with the fur family. We are so grateful for the opportunity to spend our days doing what we love & caring for so many incredible animals. Thank you so much to everyone that supports FairyTail Pet Care & to all of our clients that trust their beloved pets in our hands day after day. We truly want nothing more than to give your babies all the love & care that they deserve! Professional photos courtesy of the most paw-fect photographer, Marc Edwards Photographs. Marc is also owner of The Crafted Paw, a company focused on (AMAZING) adventure-based pet portraits!